Hot on the heels of Martell Swift, their eaux-de-vie-de-vin, we have 2 new products by the cognac giant. The second in the ‘La French Touch’ series by Martell is a lovely bottle by the musical artists, Cassius. La French Touch is not a cognac in itself, but a concept that’s been applied to the Martell VS, VSOP, and Noblige ranges in a limited edition cognac bottle. Inspired by the musical revolution, ‘The French Touch’, these cognacs are presented in delightful blue, ‘glow-in-the-dark’ bottles – perfect for night time venues. The bottle has been designed by the music duo, Phillipe Zdar and Boom Bass – better known simply as Cassius. They are a house music phenomonom, ideally chosen by Martell to inspire the second in the series of the La French Touch cognac bottle. The cognac contained within the La French Touch No 2. Cognac is Martell Noblige. A ‘La French Touch’ cocktail has also been created. that combines the cognac with blue curaco and tonic water. With a cognac as iconic as Martell’s Cordon Bleu, you might wonder if they could possibly improve on such a blend. 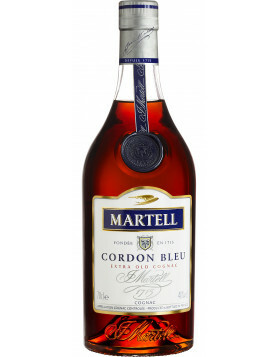 But the new Martell Cordon Bleu Extra is indeed a cognac in its own right – and one that (if you can get your hands on it), well worth a try. The biggest change is the age of the eaux-de-vie within the blend. 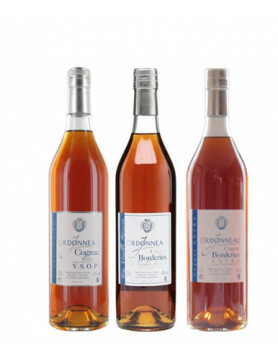 As the title of the cognac suggests, each of the components is of Extra quality – meaning that is older than and XO. Described as the ‘new intense and refined version of the original 1912 blend’ Martell Cordon Bleu Extra was launched exclusively through travel retail. It was originally available only at Singapore’s Changi Airport, but in the last couple of weeks has begun to be rolled out through other duty free shops worldwide. Created with a healthy amount of Borderies eaux-de-vie, this is a blend that will delight those who love cognac from this terroir. Not to be outdone by their rival, Hennessy also boast a couple of new products. The first in a new series by Hennessy, Master Blender Selection No. 1 is a one of a kind blend created by the 7th generation blender of the famous house, Yann Fillioux. 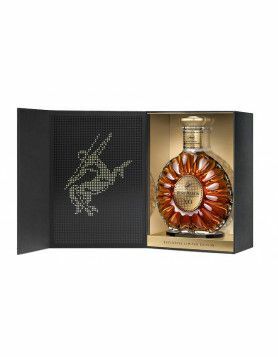 It was his mission to magic a blend that flowed in perfect harmony by choosing eaux-de-vie at the pinnacle of their aging process to create a powerful and aromatic product. To celebrate the cognac house’s long established link with the USA, this strictly limited edition cognac will debut here in October 2016, and will be available in 2 sizes: a regular 750ml bottle and a smaller 375ml. Presented in a bottle with square, clean lines, it almost resembles a bourbon. And indeed, those who’ve tasted it say that it could be a cognac that will appeal to the bourbon and whisky drinkers out there. But if you want to get your hands on it, you’d better move fast. Only 9,300 bottles will be produced – so when it’s gone, it’s gone. And let’s not forget the latest in Hennessy’s limited edition bottles created in collaboration with world-renowned artists – the Carnovsky VSOP Limited Edition. The Milan based artists were delighted to be invited to visit the Hennessy HQ in Cognac and to design the bottle. Read more about the bottle and launch here.